ON WHITE LABEL INSIDE THE REMOTE. 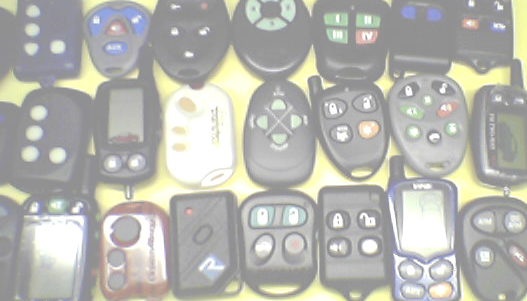 This is a replacement case for all 1 button remotes with 757 in their fcc#. 100% Satisfaction! All items purchased on our site come with a 30 days money back Guarantee, minus shipping and handling. No matter what the reason may be. We Offer FREE technical support to all customer that purchase a product from our site! Need a Factory CD Changer? They plug directly to your factory radio or the CD cable in the trunk of your car! Click Here for more Details! To any customer that wants to stop by our warehouse, we can program your remote trasnmitter for FREE as long as we do not have to go under the dash and bring the alarm down. We service all surrounding cities in florida. Saint Cloud, Haines city, campbell city, poinciana, celebration, orlando, tampa, melbourne, altamonte spring, apopka, lakeland, palm harbor, clearwater, davenport, st cloud, port saint lucie, miami, west palm beach, homestead, deltona, daytona, ocala, gainesville, tallahassee, jacksonville, fort lauderdale, pensacola, saint petersburg, cape coral, cocoa beach, cape canaveral, titusville, ucf, winter haven, polk city, county, counties.